Whether you enjoy an activity filled vacation or a laid back family get-a-way, you will love the Papakea Resort in West Maui. 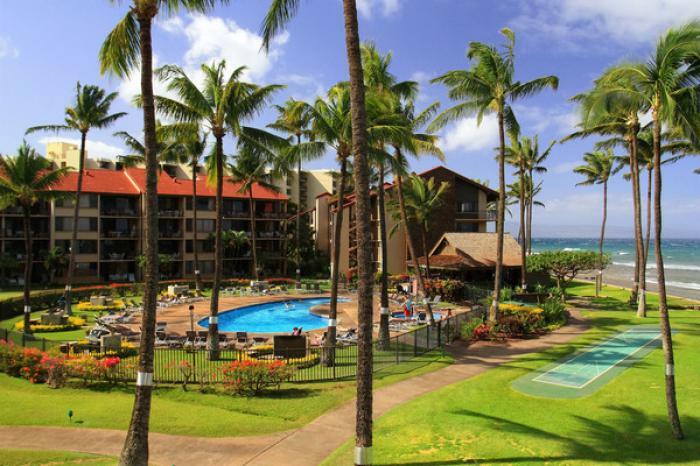 With its sprawling 11 acres of pools, Jacuzzi's, Koi ponds, gardens, tennis courts, putting greens and incredible ocean view and oceanfront condos, this resort is a vacationer’s dream. Located on the less crowded yet picturesque north end of Kaanapali Beach, the award winning restaurants and shops of the Whaler’s Village are only a short walk away. Choose between one, two or three bedroom condo rentals with a full kitchen and lanai, perfect for watching the tropical Hawaiian sunsets. With the premiere golf courses of Kapalua and the charms of Lahaina Town only minutes away by car, this Maui vacation rental offers the quaintness of a small retreat and the amenities you would expect from a premier Ka'anapali property. Free local calls. Long distance calls require credit card.